Australia Decides Line Up Finalised! With just three weeks to go until Australia hosts its first ever national selection final, broadcaster SBS has now revealed the entire line up for the Australia Decides show which will take place on the Gold Coast on 9 February. We already had seven of the competing artists, but now the full line up of ten has been unveiled. This entry was posted in Eurovision Guide 2019 and tagged 2000 and Whatever, Alfie Arcuri, Australia, Australia Decides, Aydan, CBB, Celebrity Big Brother, Courtney Act, Electric Fields, Ella Hooper, ESC, Eurovision, Eurovision NI, Eurovision Song Contest, Fight For Love, Kate Miller Heidke, Leea Nanos, Mark Vincent, RPDR, RuPaul's Drag Race, Set Me Free, Sheppard, Tania Doko, This Is Not The End. Bookmark the permalink. Some of the Australia Decides Acts Debut Songs! As Australia gear up to host their first ever national selection show on 9 February, some of the competing artists have debuted the songs that they will be competing with at Australia Decides! We already were treated to a preview of Courtney Act’s song ‘Fight for Love’ but we can also now add Electric Fields’ ‘2000 and Whatever’, Leea Nanos’ ‘Set Me Free’ and Mark Vincent’s ‘This Is Not the End’ to our playlists! Read on to check out the songs! This entry was posted in Eurovision Guide 2019 and tagged 2000 and Whatever, Australia, Australia Decides, Aydan, CBB, Celebrity Big Brother, Courtney Act, Electric Fields, ESC, Eurovision, Eurovision NI, Eurovision Song Contest, Fight For Love, Kate Miller Heidke, Leea Nanos, Mark Vincent, RPDR, RuPaul's Drag Race, Set Me Free, Sheppard, This Is Not The End. Bookmark the permalink. Courtney Act Joins Line Up for Australia Decides! 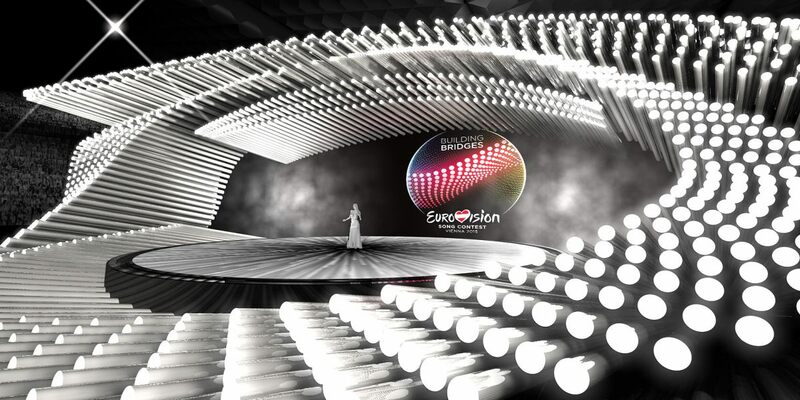 This entry was posted in Eurovision Guide 2019 and tagged Australia, Australia Decides, Aydan, CBB, Celebrity Big Brother, Courtney Act, Electric Fields, ESC, Eurovision, Eurovision NI, Eurovision Song Contest, Fight For Love, Kate Miller Heidke, Leea Nanos, Mark Vincent, RPDR, RuPaul's Drag Race, Sheppard. Bookmark the permalink. Jedward Return to Celebrity Big Brother! This entry was posted in News and tagged 2017, All Stars, Calum Best, CBB, Celebrity Big Brother, Channel 5, Coleen Nolan, ESC, Eurovision, Eurovision NI, Eurovision Song Contest, Game of Thrones, Good Vibes, Heidi Montag, Hologram, Hope Song, James Cosmo, Jamie O'Hara, Jedward, John and Edward Grimes, Loose WOmen, Ray J, SCD, SPencer Pratt, Spiedi, Stacy Francis, Strictly Come Dancing, The hills, USA, X-Factor. Bookmark the permalink. It’s been a busy week for Eurovision. Read on to read our recap of all the news, gossip and national finals activity that occurred this week! This entry was posted in 15 things we learned this week and tagged 15 things we learned this week, Abba, Alex Larke, Armenia, CBB, Celebrity Big Brother, Dima Bilan, ESC, Eurovision, Eurovision Song Contest, Eurovizijos, Hope Song, Iveta Mukuchyan, Jedward, keep on lying, Lithuania, Montengro, News, Polina Gagarina, Russia, Sergey Lazarev, shine on, Slavko Kalezic, UK, United Kingdom, Waterloo. Bookmark the permalink. This entry was posted in 15 things we learned this week and tagged 15 things we learned this week, 1944, 2017, Albania, Alexandrov Ensemble Choir, All Stars v New Stars, Aminata, Armenia, Artsvik, Be Real, Bote, CBB, Celebrity Big Brother, Chameleon (Invincible), David Sneddon, Depi Evratesil, ESC, ESC250, Euphoria, Eurovision, Eurovision NI, Eurovision Song Contest, Eurovizijos, Every Way That I Can, Fame Academy, Festivali i Kenges, FiK55, Florian Wieder, Good Vibes, Grande Amore, Hologram, Hope Song, Il Volo, Ira Losco, Jamala, Jedward, Kiev, Krista Siegfrids, Latvia, Lindita Halimi, Lithuania, Loreen, Malta, MESC, Montenegro, My Money, News, Novorichne Disco, Plane Crash, Russia, Serebro, Sergey Lazarev, Sertab, Slavko Kalezic, Sochi, Trump, you are the only one, Zlata Ognevich. Bookmark the permalink. 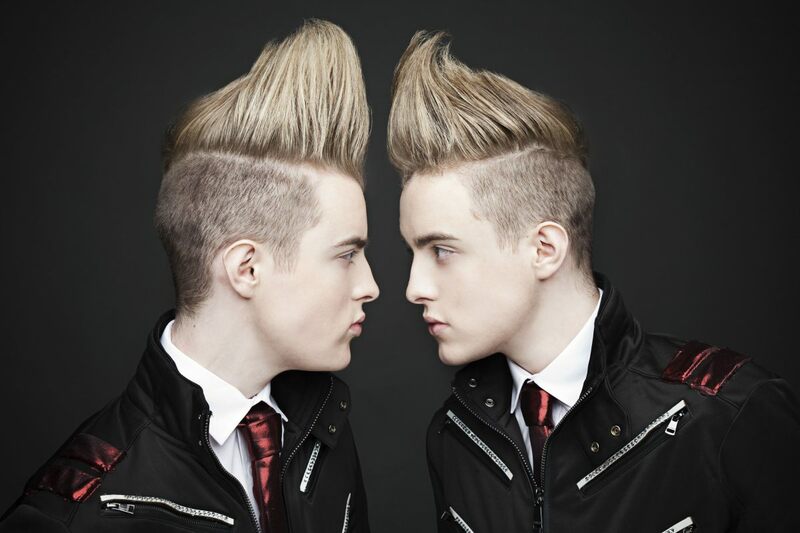 Jedward to Perform at Queen’s University’s Freshers’ Ball! This entry was posted in News and tagged 2011, 2012, 90s, Big Reunion, Blame It On the Weatherman, BWitched, C'est La Vie, CBB, Celebrity Big Brother, Celtic Aura Maria McCool, Channel Five, Edele Lynch, ESC, Eurovision, Eurovision Song Contest, Freshers' Ball, Frostbit Boy, Ireland, ITV, Jedward, Lipstick, Mandela Hall, Mistaken, QUBSU, Queen's Students' Union, Queen's University Belfast, Rollercoaster, Sharknado 3, Waterline, X-Factor. Bookmark the permalink. 1. John and Edward Grimes are identical twins who were born three months premature on 16 October 1991 in Dublin and go by a portmanteau of their first names John and Edward, Jedward. 2. The twins are no stranger to reality TV shows having made their debut on the 2009 series of the X-Factor, mentored by Louis Walsh and finishing in sixth place. The duo have also participated in Celebrity Big Brother 8 where they placed third behind Atomic Kitten singer Kerry Katona and My Big Fat Gypsy Wedding star Paddy Doherty. This entry was posted in 10 Things About... and tagged 2011, 2012, 2015, Atomic Kitten, CBB, Celebrity Big Brother, ESC, Eurovision, Eurovision 2015, Grammys 2015, Ireland, Jedward, John and Edward, Johna nd Edward Grimes, Kerry Katona, Kevin, Lipstick, Louis Walsh, My Big Fat Gypsy Wedding, OMG It's Jedward, Paddy Doherty, Tara Reid, Waterline, X-Factor. Bookmark the permalink. 1. Vienna officially became the host city for Eurovision 2015 this week when the Host City Insignia Exchange took place on Monday 26th at Vienna’s City Hall. 2. Shortly after this ceremony, the semi final draw took place and we now know which countries will compete in which semi finals. For more info read our story here. This entry was posted in 15 things we learned this week and tagged Andy McSean, BBC, Celebrity Big Brother, Conchita, Conchita Wurst, Cyprus, Czech Republic, Dana International, ESC, Eurovision, Hungary, Iceland, Jordan, Katie Price, Kiesza, Lena, Licia Cherry, London, Lordi, Loreen, Marta Jandová & Václav Noid Bárta, Oma Ella, Paperlights, Semi Final, Stage, Switzerland, Tickets, Timebelle, Vienna. Bookmark the permalink. Ginger Spice could have been UK Eurovision entry 2014? This entry was posted in Eurovision that Could Have Been and tagged 2014, Celebrity Big Brother, Copenhagen, Denmark, ESC, ESC 2014, Eurovision, Eurovision 2014, Eurovision Song Contest, Eurovision Song Contest 2014, Fame Academy, Geri Halliwell, Half of Me, James Fox, Javine, Jessica Garlick, Molly, Molly Smitten-Downes, Popstars the Rivals, Rylan, Rylan Clark, Spice Girls, Stacey Solomon, UK, United Kingdom, X-Factor. Bookmark the permalink.